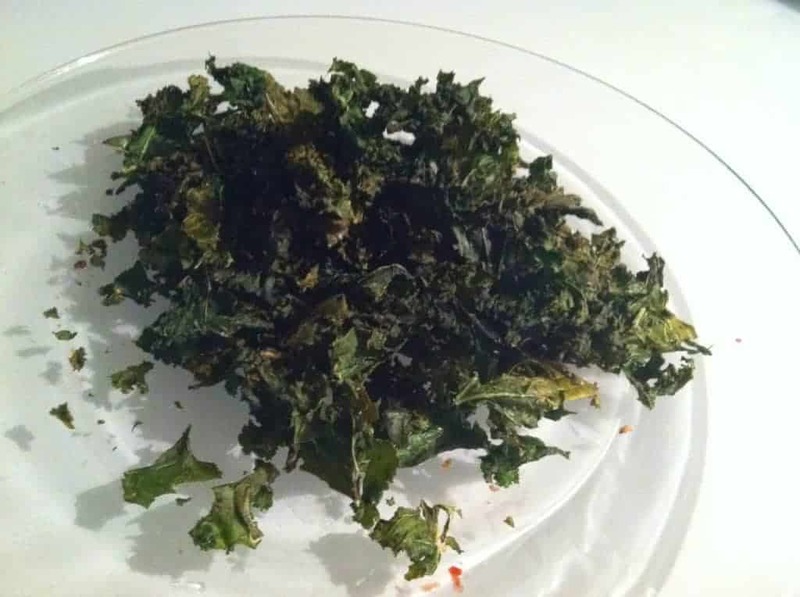 Check out this recipe featured on SELF Magazine’s nutrition blog! In the oven, on the grill, under the broiler, in my mouth. Canned wild salmon is only $2.99 at Trader Joe’s, which is super cheap compared to getting wild salmon fillets at the store. It’s a bit of a pain to remove the skin and bones, but definitely worth it. One 14.5 oz can will get you four delicious burgers. The salmon patties are awesome because they’re a one bowl deal. You literally throw everything in a bowl, mix it up, form patties and throw them in the fridge. Making a double batch and throwing half in the fridge wouldn’t be a bad idea either. Hello, healthy fats. I made these lovely patties for my parents last night–one plain, two with goat cheese, and one with cheddar. They were all moist and delicious. The key is refrigerating them for at least 30 minutes to an hour to allow them to firm up AND waiting till the pan is nicely oiled and hot before cooking them to get that nice brown crispy crust. You really can throw in any veggies and cheese you like, but I love goat cheese so I was exited to incorporate them into these burgers. I ate these without a bun, but I’m not gonna lie…when I ate it for lunch on Friday on a toasted skinny whole wheat Bruegger’s bagel with veggie cream cheese, lettuce, tomato and onion, it was unreal. Major foodgasm. 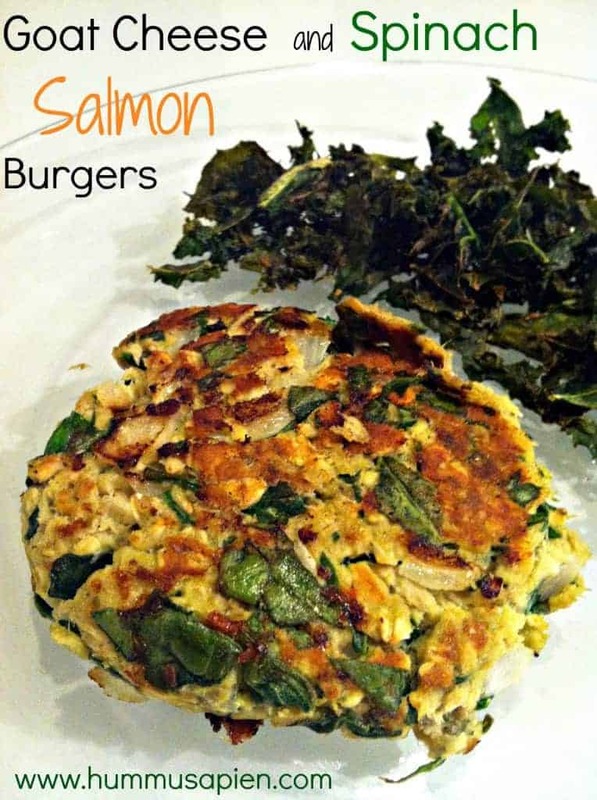 Moist, crispy salmon patties stuffed with goat cheese, onions and spinach. In a large bowl, combine drained salmon (with bones removed) with all other ingredients except goat cheese and oil. Stir to combine. Add in crumbled goat cheese and stir to combine. Form mixture into four patties. Refrigerate for at least 30 minutes. Heat a large skillet with about a tbsp oil over medium heat. Once oil is hot, cook patties for approximately 5 minutes per side, or until golden brown, adding more oil if necessary to prevent sticking. 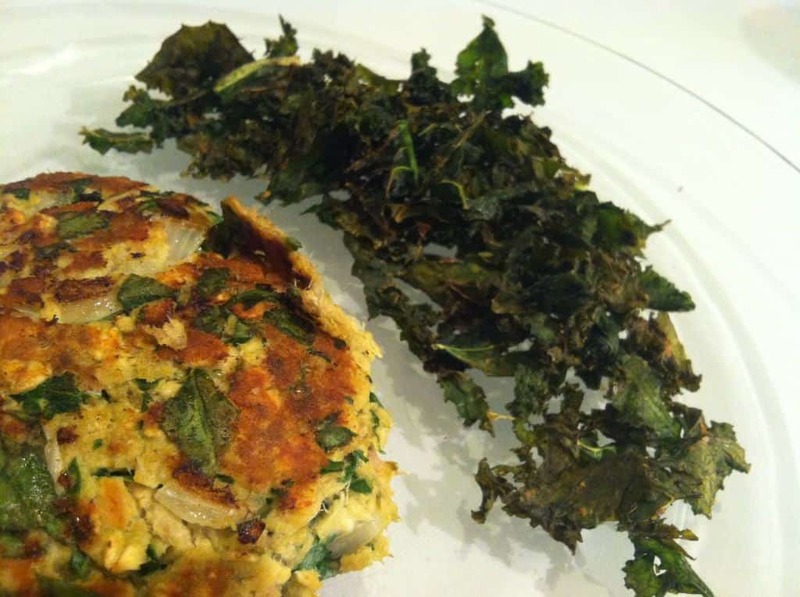 These are pretty darn delish served with kale chips. Spicy sweet tater fries wouldn’t be a bad addition either. It would in fact be a very good idea. Hope you enjoy this superfood meal as much as we did! Oh boy the combo of these burgers sounds toooo die for! Although I have a confession to make: as much as I love salmon, the canned variety freaks me out…I look forward to trying these with cooked salmon! Ya it does seem a little weird….definitely good in a pinch and super inexpensive…but of course fresh is always best! It’s awesome to pay a quick visit this web page and reading the views of all mates concerning this paragraph, while I am also zealous of getting experience. 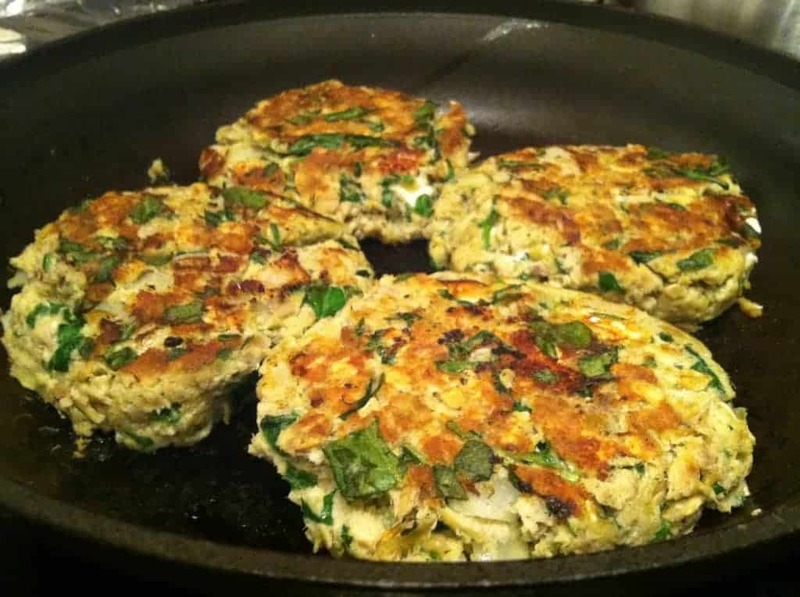 I made these with Mediterranean feta cheese and garlic salt with parsley and they were delicious! Lots of leftovers with lunches and dinners throughout the week :) Thanks for another awesome recipe! Made these with a few minor modifications, huge success! Will be making many more times! I used almost a full 10oz pkg of frozen spinach, I learned if you squeeze all the moisture out after thawing from making spinach feta stuffed chicken and pork loin. On a budget, $1 is great… Also I added 2 tsp minced garlic, and used a whole 4 oz pkg feta, and added a healthy bit of thyme and Italian herb blend, as well as 2 full eggs. My husband has requested these for a weekly meal or lunch (he still wants the stuffed Chicken breast about everyday though)! I’m so glad you had success with the burgers! These are one of my favorites :) SO easy, too! Great recipe. We make 6 burgers, have 2 each for dinner, and 1 each for lunch the next day. One minor point, there’s absolutely no need to remove the skin and bones from the salmon; they virtually disappear within the burgers and add a lot of nutrition. SO glad you liked them, Judy! They are to die for right??! I haven’t made them in way too long–SO yummy!